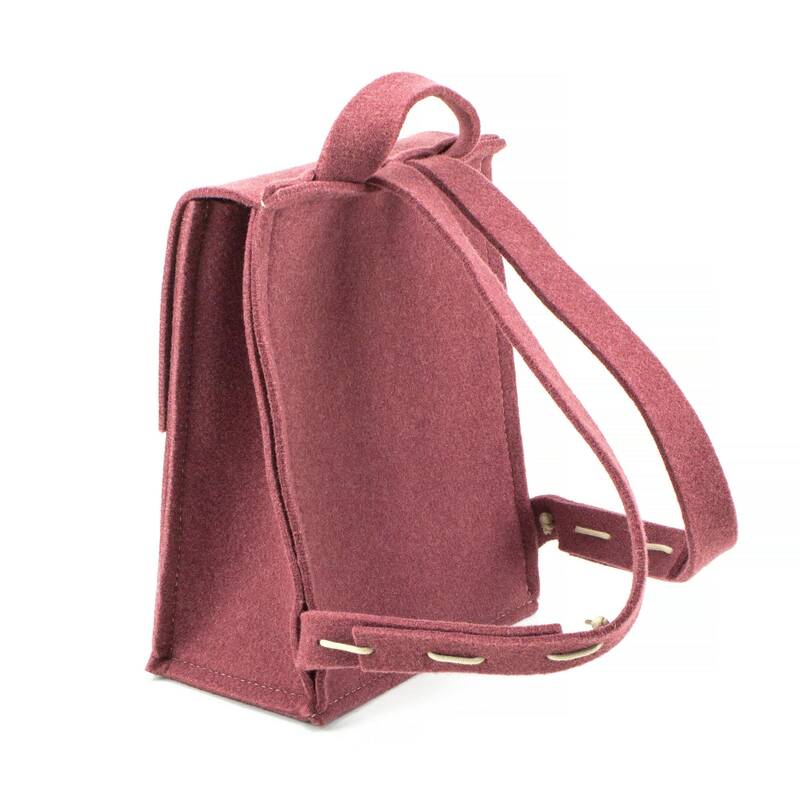 It is made of wool felt (LIGHT BURGUNDY). Note: Because every screen is different the colours of felt you see here could be slightly different in person. WHAT MAKES OUR KIDS' BACKPACKS UNIQUE? 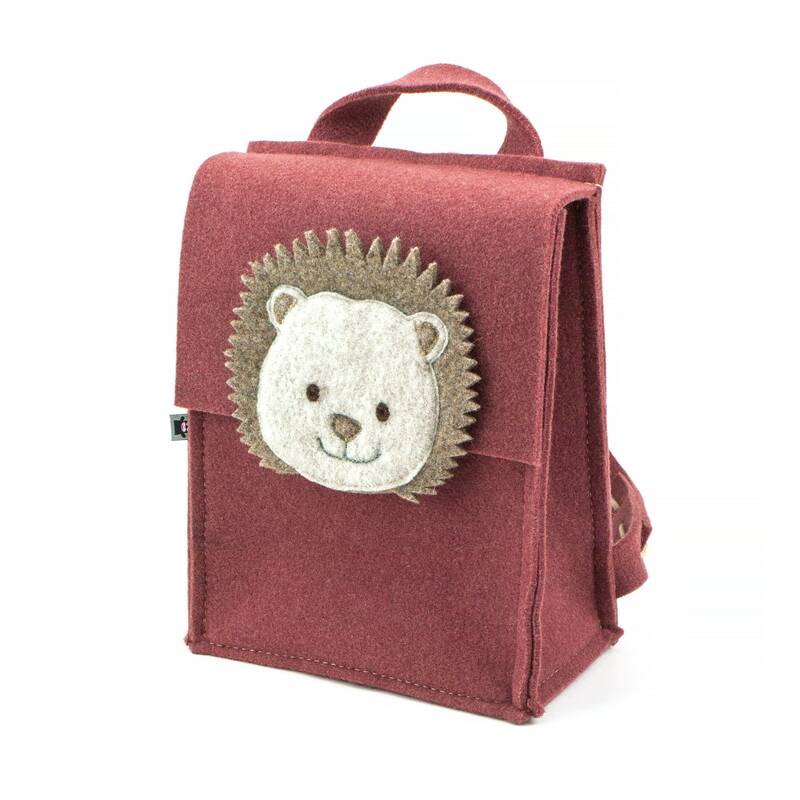 Our kids' backpacks are made of 5 mm thick wool felt. Backpacks are very light and have no breakable plastic parts. The bottom of the backpack has two layers of felt to double protect kid's favourite things inside. 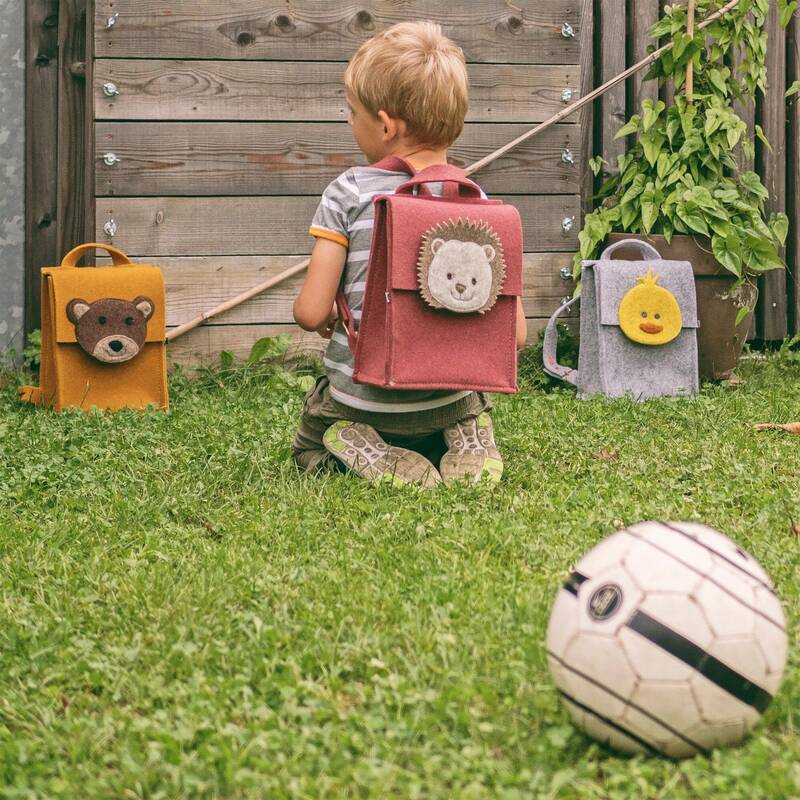 The front flap of the backpack fastens with a magnetic snap which allows children to use it on their own. The backpack is big enough to fit kindergarten clothes, toys and more. 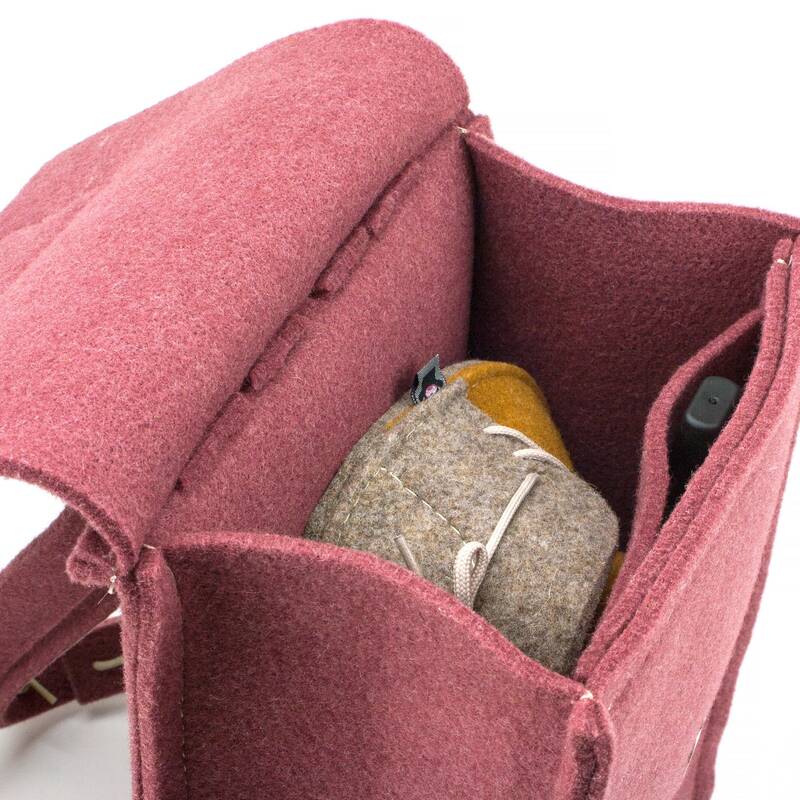 It has a large storage area as well as a separate pocket for smaller things like gloves, caps or small toys. The backpack has adjustable shoulder straps (adjustable with laces). It also has a handle so it is possible to carry the backpack in hand. • 5 mm thick wool felt. • Adjustable shoulder straps (with laces). • Personalization possibility (color and patch). • Large main pocket fits kindergarten clothes, toys and more. 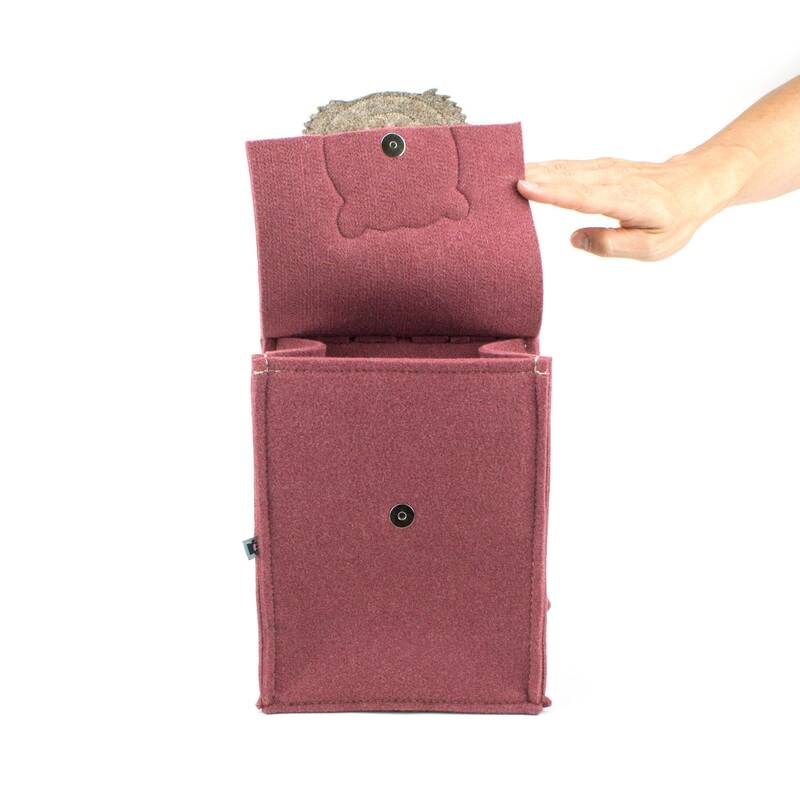 • Additional pocket for smaller things like gloves, caps or small toys. • No breakable plastic parts. • Handmade per order in our workshop in Slovenia, Europe. Want to add a custom touch? 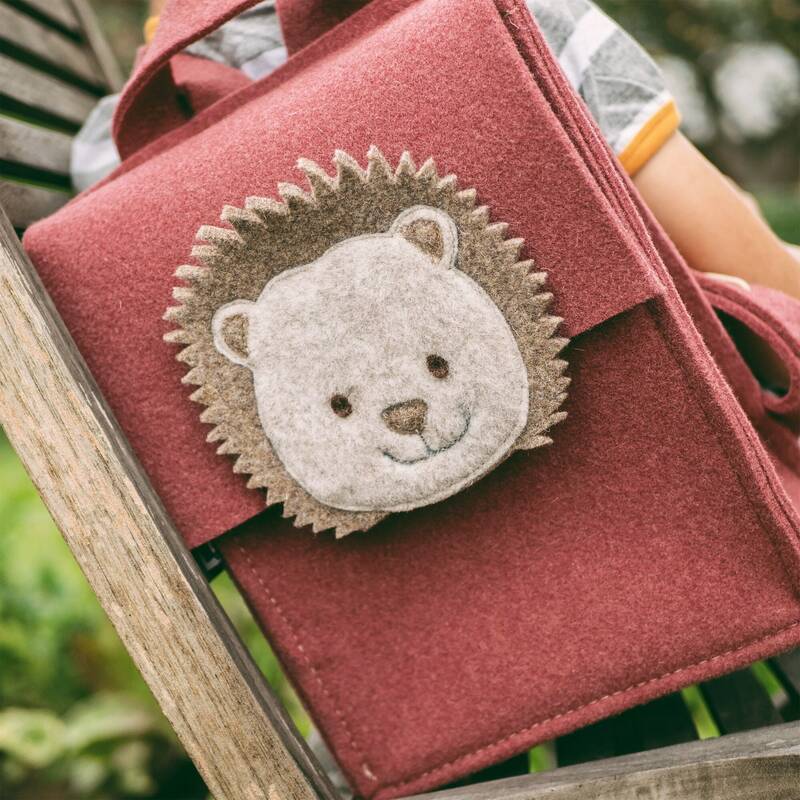 You can pick a short name or personal message and we will write it on the backpack with felt letters. Please choose an option with or without a name when purchasing. Leave us a note with the color of felt you would like the name to be written in. You can also choose between different colors of felt, laces and patches. 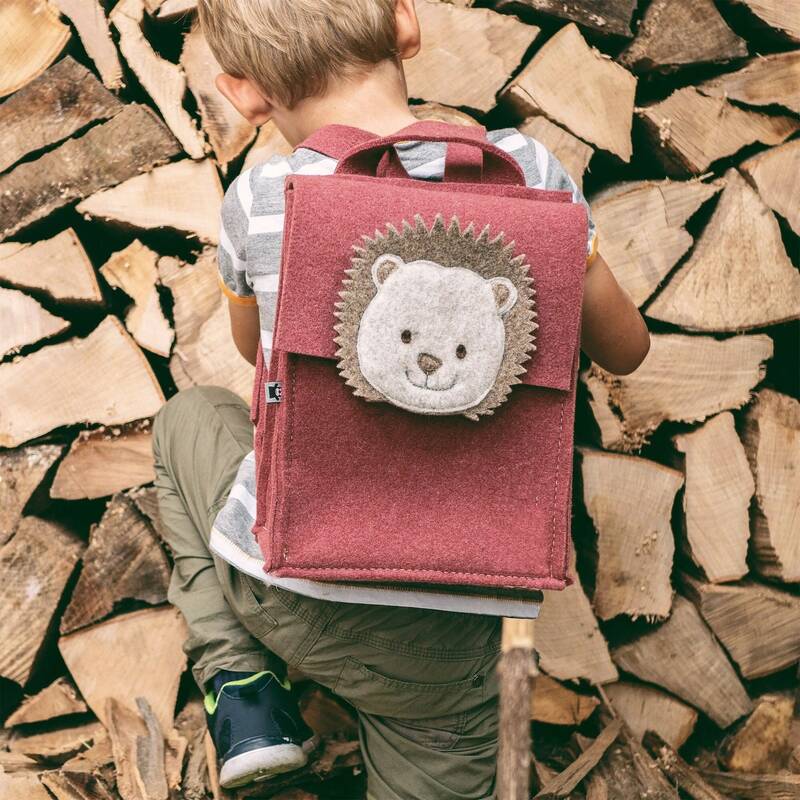 We can customize the backpack to any other kids favourite animal or hero. Request a custom order or contact us if you have any other questions.